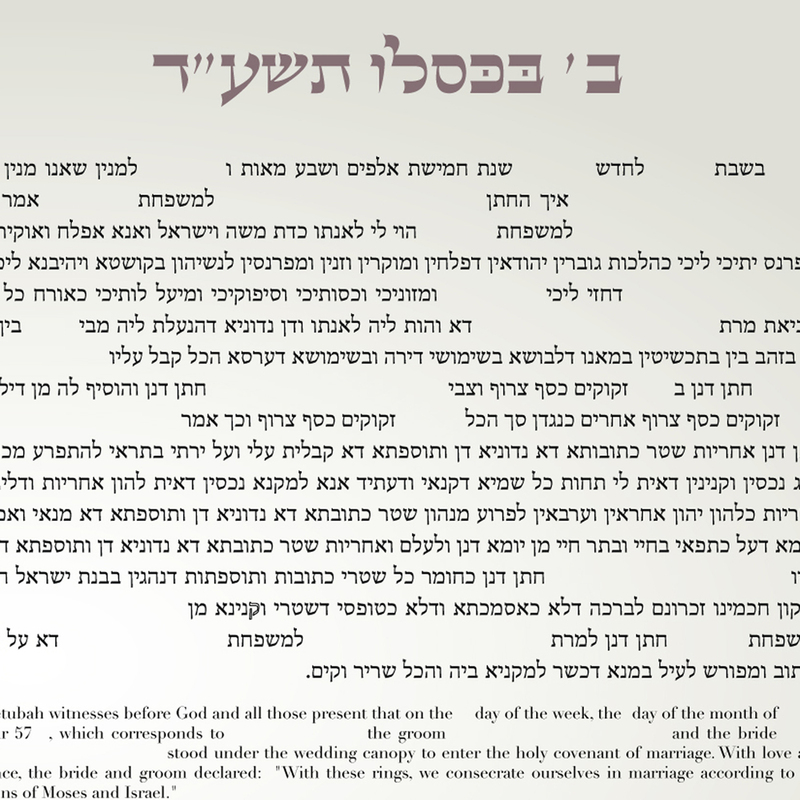 The month and day of the wedding give the name to this ketubah. Overlapping numbers, customized for each couple's date make for a simple and bold conversation piece. Simple and elegant text for an understated but well-designed ketubah. Large number forms in an elegant, high design style. Overlapping numbers create a focus without detracting from the simplicity of the text. Simple typeface in Adobe Hebrew. The Hebrew is fully justified by lengthening the letters in the traditional scribal way. The English typeface is Didot. The signature are labelled for ease of signing and clarity. The month and day of the wedding give the name to this ketubah. Overlapping numbers, customized for each couple's date ensure that you will never forget the date of your wedding.